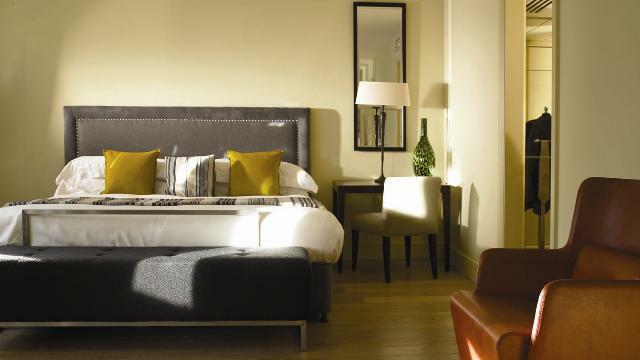 Located in the heart of London's Mayfair, steps away from the elegant designer stores of Bond Street and open spaces of Green Park and minutes from the vibrant theatres of the West End and Buckingham Palace, Brown's provides a stylish and central base for both business and leisure guests. Following its recent £24 million refurbishment, overseen by Olga Polizzi, Rooco Forte's Brown's Hotel has been restored to its rightful position as one of the finest intimate and charming hotels in the city. The new design combines the hotel's original wood panelling and gilt mirrors with mosaic floors, fresh colour schemes, natural materials and antique furnishings to create a more contemporary and comfortable style, whilst maintaining the refined English charm for which the hotel is famous. Bedrooms will feature the latest in-room facilities, including broadband internet connection and digital flat-screen LCD televisions with interactive video on demand featuring a vast library of music and films. For private functions and business meetings, there are six private rooms, with the largest accommodating up to 120 guests. Each room is named after a famous previous guest and all enjoy natural daylight with traditional high ceilings and air-conditioning. The Roosevelt and Niagara Rooms can be interconnected and are situated on the first floor, whilst the other rooms are located on the ground floor, accessed through either the Dover Street or Albemarle Street entrances. A fully equipped business centre is available to assist with any administrative tasks and to ensure that all messages are delivered with utmost speed and efficiency. The Albemarle specialises in the finest quality British cooking. Executive Chef Lee Streeton and Director of Food Mark Hix have created an outstanding menu featuring great British classics – all using carefully sourced seasonal ingredients. The English Tea Room offers a relaxing and discreet alternative for enjoying lighter meals and the famous Brown's Afternoon Tea. In addition, the fashionable Donovan Bar provides the perfect setting in which to enjoy a wide range of cocktails and refreshments. For the energetic, the hotel offers the latest in gymnasium facilities and for those wishing to relax and unwind, the Spa offers a haven of tranquillity. 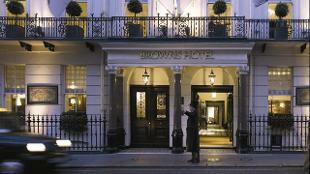 As a guest once said, perfectly summarising the ambience of Brown's "I don't stay in a hotel, I stay at Brown's". 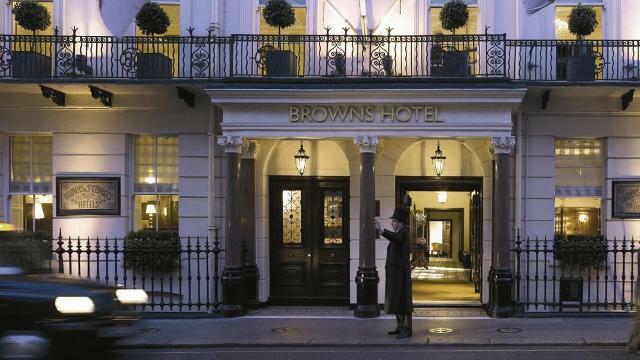 Is Brown's Hotel your business?